Google Photos version 2.13 is rolling out right now in the Google Play Store and with it comes a new video stabilization feature. The new feature allows you to post-process videos you have shot and uploaded to the service to give your videos a more stable look. This, my friends, is Machine Learning and Artificial Intelligence at its best. Using ML and AI, Photos is analyzing your video and essentially correcting the video at the pixel level. It is astonish that it can sort it out and even more astonishing that you have this in the app. A free app. The new feature is located on the edit menu when you select a video from your Google Photos library. 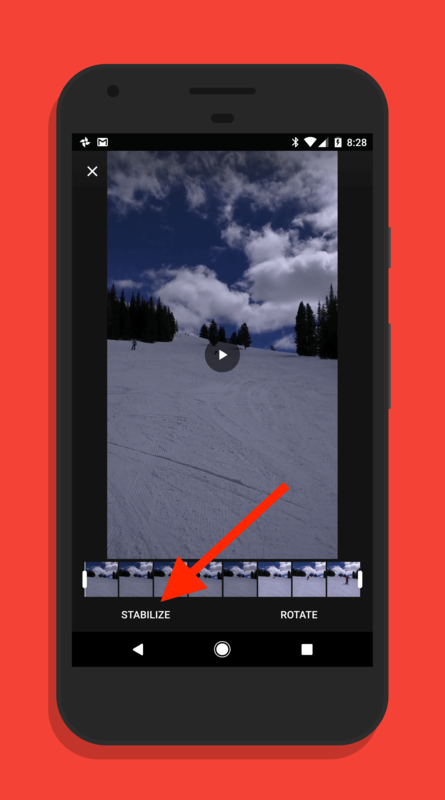 Once you have the video open, you will see a new stabilize button. Tap it and Photos will start processing the video and smoothing it out. How long the process takes will vary on how much shaking is in the original video and how long the video is in total. Once it is done, you can save the stabilized video to your library. Having worked with several videos this morning using the new feature, it is nothing short of impressive. Even on reasonably shaky videos, Google Photos was able to dramatically smooth them out for a more enjoyable watching experience. If you have Photos installed on your phone, the update should be coming to you in the next few days. Remember, if you need help with the app, head over to the Google Photos Forums. There you will find a slew of Google Top Contributors (experts) who can help you with any questions you may have on it.